March 17-As economies around the world slowly recover from the global recession, UAE’s tourism sector appears to be improving slowly from last year’s financial setbacks. Experts predict that the hospitality industry in UAE is expected to bounce back and will probably even achieve the boom it experienced back in 2007. “Though the global economic crisis had affected the tourist inflow in late 2008 and early 2009, tourists from all over the world have begun exploiting the reduced prices and availability of rooms,” said Hakim Al Budoor, Chairman of Net Tours, one of the pioneers in UAE’s tourism industry. “The market has begun to look more promising since October, when the second season of the year started. Rooms are now available at reduced prices, which is sure to lead to a 35-40 per cent increase in business in the current season,” he added. Despite the fact that business from Meetings Incentives Conferences Events (MICE) has gone down in the last few months, still “positive trends are yet to be seen in this area too, as many companies are merging now. Naturally, this will lead to merger conferences for close networking between the officials of the involved companies,” explained Budoor. Budoor said that Dubai has a lot to offer in terms of culture and tradition along with modern-day recreation that one can find in western countries. He hoped that tourism in the UAE will bounce back in the next three years. 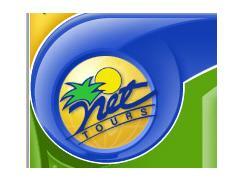 Net Tours with a turnover of Dh100 million, will see a 20-30 per cent surge in its revenue this year. “There is a huge increase in local customers than last year. The occupancy rate in hotels is at 60-70 per cent now, which is enough for a bright outlook in the coming months” he added.